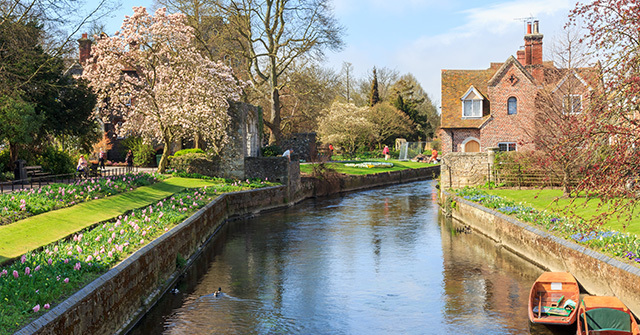 Just a stone’s throw from the chic seaside town of Whitstable or the historic Canterbury, there are a variety of places to explore on your doorstep from Great Higham Barn and Cottages. Just a short distance from the property, you’ll discover countless paths and cycle routes allowing you to take in ‘the garden of England’ on foot, by bike or even on horseback! In addition to this you’ll find a range of great restaurants, activity centres and night spots in the country – with Michelin starred eateries and quaint country pubs waiting to be discovered! With a selection of Vineyards, Museums, Nature Reserves, Award Winning Spas, historical castles and shopping opportunities close to the Great Higham Complex, there is plenty to do for all types of group, making a holiday in Kent a holiday to remember! Contact us for the best recommendations for your party to see and do in the county.